The ROTOR Tiburòn watch was created to optimize your cycling performance. It’s a beautifully branded ROTOR luxury mechanical watch of superior Swiss automated clockwork, available in stainless steel, with sapphire glass on the front and back. It has an elegant design with a unique integrated function for endurance athletes to measure their resting heart rate. It is a limited-edition watch which a very select number of people will own. Do you want to be one of them? 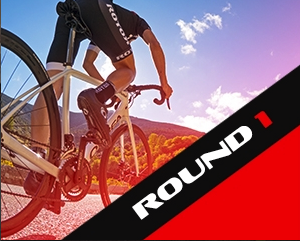 Take the ROTOR Challenge and show us how much you know about cycling and ROTOR. Participation is very easy. You just have to access here with a Facebook profile and complete our challenge. It consists of two rounds of ten questions in each round and a global classification, setting a ranking based on the points accumulated in each round. The first round will be developed between the 18th December of 2017 and 2nd January of 2018. The prize will be a ROTOR Q RINGS Oval chainrings Direct Mount for the participant who achieves the highest points. Then second round will take place between the 3rd and 17th January of 2018. Here the prize will be a ROTOR INpower powermeter. If in any of the two rounds, some participants have the same points total, a raffle will be held between them to determine who the winner of each prize is. The accumulated score of the participants from the two rounds will be used to determine who is the winner of the exclusive ROTOR Tiburòn watch. Additionally, if some participants have the same final points total, a raffle will be held between them to determine who the winner is. 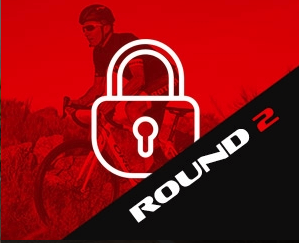 At the end of the competition we will raffle 10 ROTOR kits, including cycling jersey and bib shorts, among all the participants who complete the registration form to participate and answer the questionnaire for at least one of the rounds. Don’t forget to follow us on Social Media! We will keep you informed of our news and will give you some clues for the contest. The ROTOR Challenge starts here. Are you ready?